The 3rd album from Swedish jam / hippie rockes out of Stockholm. SIENA ROOT have buildt up a solid reputation thorugh the years of being one helluva live acts, as well as brining out some really good songs in 70's influenced psychrock style with influence to from classic rock bands like LED ZEPPELIN & CAPTAIN BEYOND. The band have spent several years on the road, and on this 3rd album the band is more well played and got more structured songs which they have been working on for more than a year now. Here we find swirling sitars, groove guitar riffings and groundbreaking song structures. 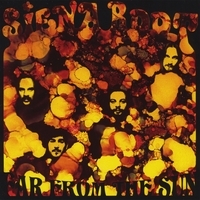 This is perhaps the strongest release from SIENA ROOT to this date, and wil not let anyone down !